With 25 years of history, an A+ BBB rating & a full line of American Made window tinting products, SunGlo is your choice for Premium vehicle window tinting & clear bra services in Denver! SunGlo Window Tinting offers premium vehicle window tinting services using the finest American Made products. Plus, we professionally apply Paint Protection Film or Clear Bra to any area of your vehicle that needs protection! Protect your vehicle with premium Denver automotive window tinting & clear bra products from SunGlo! At SunGlo Window Films, we pride ourselves on offering premium quality window tinting products. SunGlo works with two primary manufactures for solar & security window tinting. SunGlo Window Tinting is a your choice from premium, professional automotive Denver window tinting. 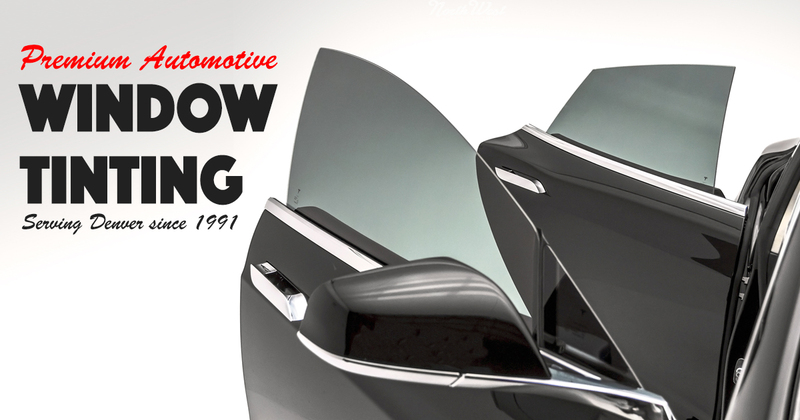 We carry premium, AMERICAN MADE vehicle window tinting products from Madico.